Lake Forest Parks iconic Lake Haven - one acre plus of coveted south facing lakefront. 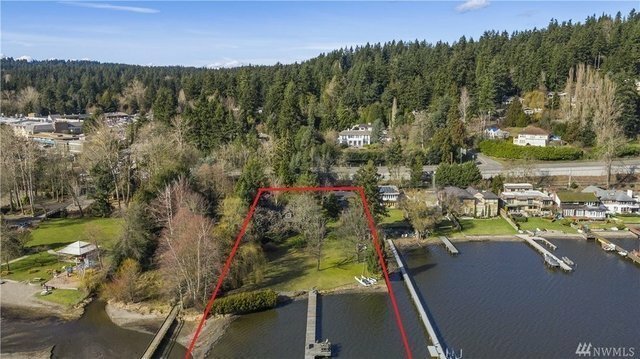 Level, park-like acreage incls 150 feet of no-bank waterfront adjoining Lyon Park for tremendous privacy. Vintage home, six cabins and huge dock. A+ location - next to LFP Civic Club and Town Center, Burke-Gilman Trail, Kenmore Air, Inglewood CC and equidistant to Seattle and Bellevue. Zoned RS7200 great development potential. Rare opportunity to develop a signature waterfront plat, or create your own special haven!